I had to wiggle my toes to remind myself that I was floating in a tank of water. I was in a sensory deprivation tank at Float Now in Saskatoon and I was experiencing life with zero distractions. 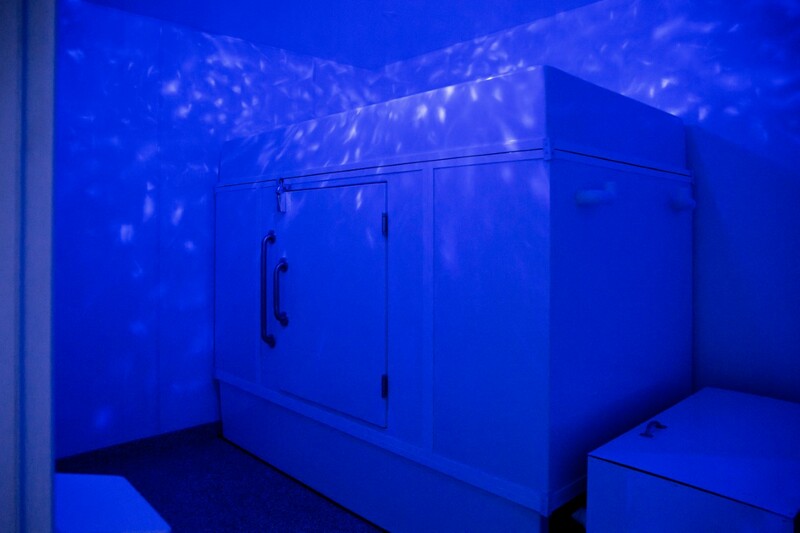 If you’re unfamiliar with sensory deprivation tanks (or floating), you’re not alone. Commercial float tanks have only made their way to Saskatchewan in the last few years. So what is a float tank? It’s basically a huge bathtub with a roof (for all of you claustrophobic people out there, there’s enough room inside that you can practically stand up, so there is no need to panic). When the tank door is closed, it’s lightless and soundproof inside. The saltwater—that makes you float—is the same temperature as your body, so once you get settled in, you cannot feel the water against your skin—it literally feels like you’re floating in mid air. There are several benefits to floating, both physically and mentally. Along with providing your muscles, joints, and tendons a break from gravity for enhanced physical recovery, float tanks provide a calm and quiet space to relax, unwind, and reach a mediative state where you’ll forget about the 500 things you have to get done by Friday. Regular float sessions are also said to help ease physical pain in people suffering from arthritis, back soreness and various forms of inflammation, as well as mental pain in people struggling with depression, anxiety, and insomnia. Personally, I tried floating in an attempt to calm my monkey mind. At times I can have so many things going on in my own head that I can start to feel overwhelmed. It becomes difficult to focus, difficult to fall asleep at night, and as a result, my productivity and creativity can suffer. So when I started reading up on the benefits of floating, it immediately appealed to me. I had to give this a try. My experience did not disappoint. The hour and a half float flew by like ten minutes, yet stepping out of the Float Now building, I felt as though I had eight hours rest. I still don’t know if I fell asleep or just had the greatest float of all time, but either way it was glorious. That sweet, sweet feeling of nothing-ness was exactly what the doctor ordered. Whether you struggle with depression, physical pain or just want a break from the hustle-bustle of your everyday life, I highly recommend giving Float Now a try. Leave all your worries behind and treat yourself to some much needed peace and calm.